A total number of 199 aspirants are vying for 24-member Kwara state House of Assembly seats in the 2019 general elections. Tribune Online gathered that the aspirants filed their nomination forms in the ruling Peoples Democratic Party (PDP) and the All Progressives Congress (APC). 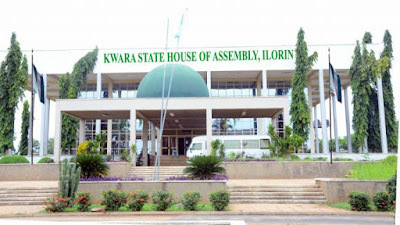 The breakdown showed that 106 aspirants have indicated interest to represent their constituents in the Kwara House under the banner of the PDP, while 93 planned to enter the House through the opposition APC in the general elections. Speaking with Tribune Online, the state organising secretary of the PDP, Alhaji Sulaiman Buhari, said that local government areas, eg, Ilorin West, Ilorin East, and Asa in the Kwara Central senatorial district have the highest number of aspirants in the state. Also speaking, a state chairman of the APC, Alhaji Bashir Bolarinwa, said that most of the aspirants for the state House of Assembly come from the Kwara Central senatorial district of the state. While both political parties in Kwara state were happy with the high turn out of aspirants for different elective offices in the forthcoming general elections, the party leadership are, however, being confronted with the mode of primary to adopt that will not bring about rancour, animosity or division in the parties. Speaking with Tribune Online during the official inauguration of APC executive members of the party in Ilorin, state chairman of the APC, Alhaji Bolarinwa Bashir, said that the current challenge of the party is the influx of fake and sponsored members of the party. Alhaji Bolarinwa said that the impostors include aspirants and ordinary members of the party, who he said were allegedly sponsored by the opposing political party in the state to cause problems.